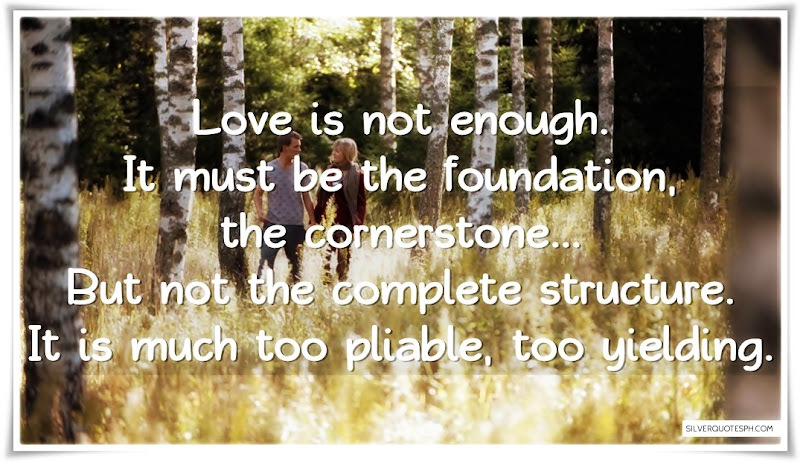 Love is not enough. It must be the foundation, the cornerstone... But not the complete structure. It is much too pliable, too yielding.